Ships today if you order in the next 1 hours 48 minutes. Alive! 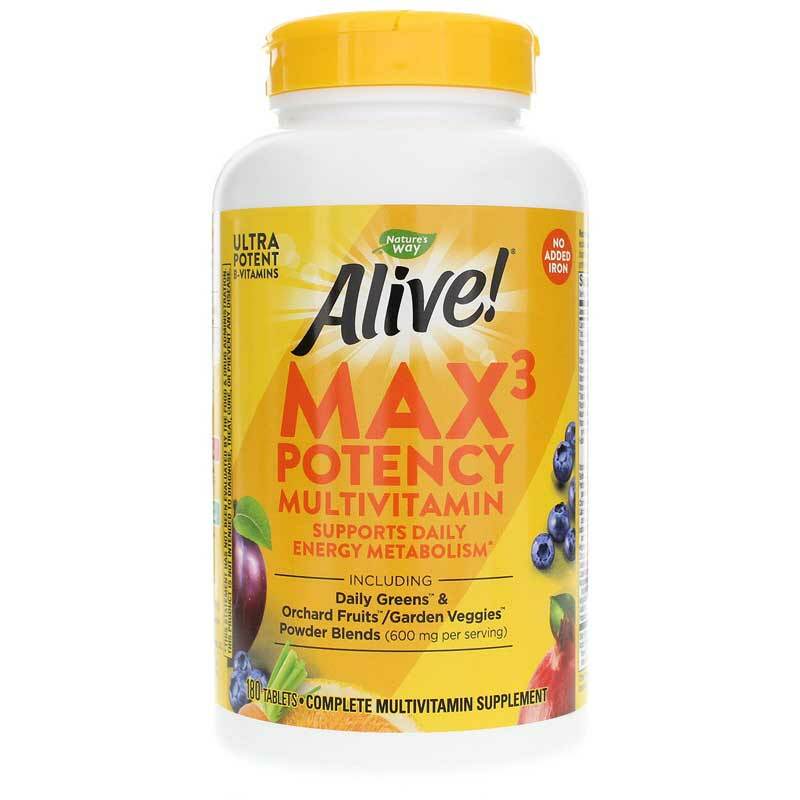 Max Potency Multivitamins are the ultimate nutritional energy source containing the greatest diversity of daily essentials, whole food concentrates, phytonutrients and antioxidants to nourish, protect and invigorate your body. 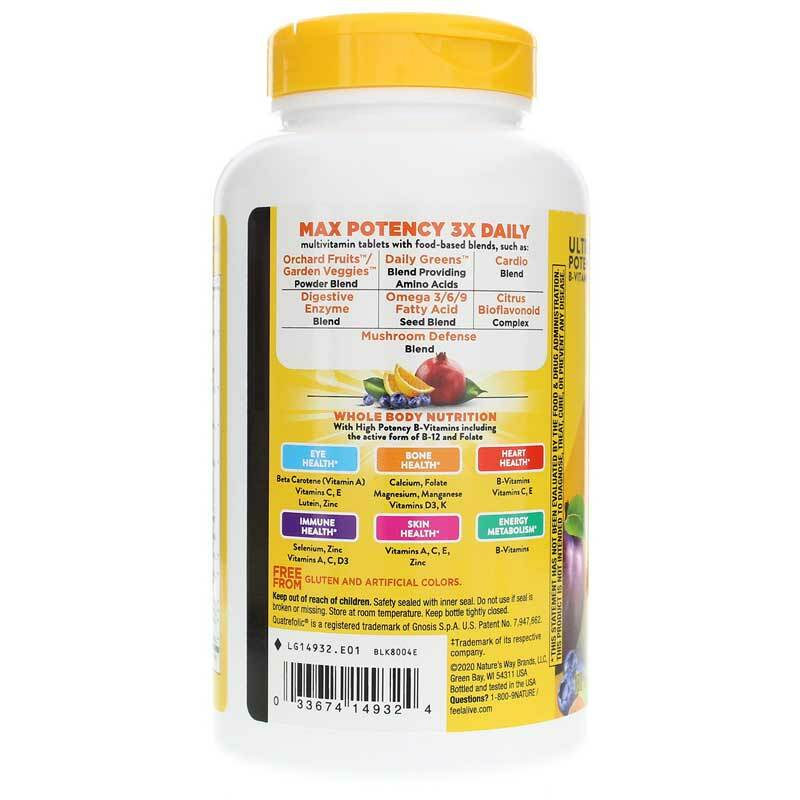 * The original Whole Food Energizer, this multivitamin is made with daily essentials, botanical energizers and system defenders. As with all Alive! 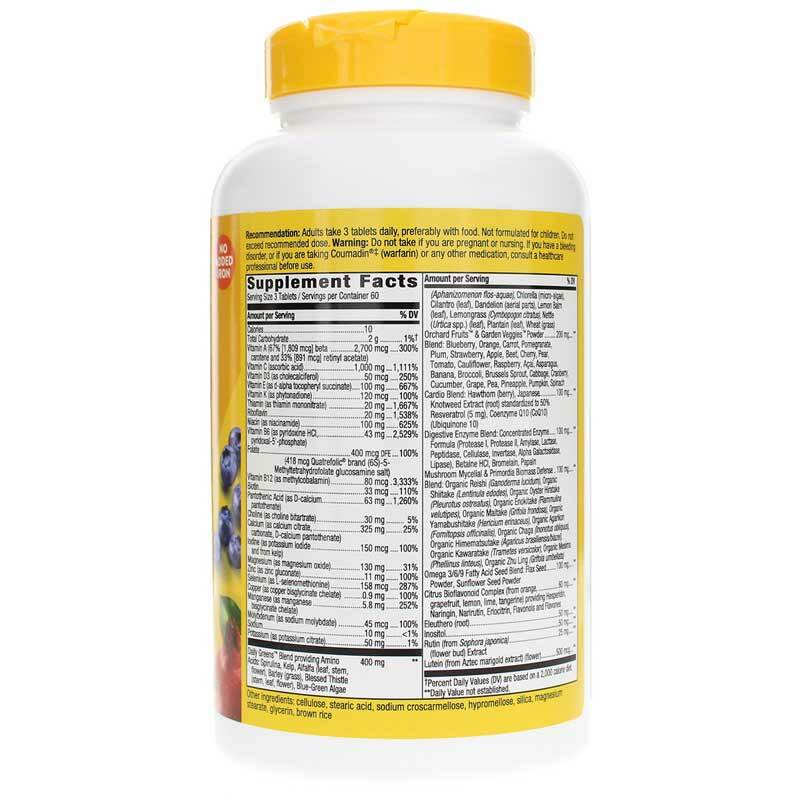 multivitamins they are also packed with high potency B-vitamins, 26 fruits and vegetables and nutrients for whole body nourishment to help support bone health, daily energy, colon health, eye health, heart health, and immune defense. Contains NO: sugar, yeast, wheat, soy, gluten, artificial flavors, colors or preservatives. Adults: Take 3 tablets daily, preferably with food. If pregnant, nursing or taking any medications or have high blood pressure, consult a healthcare professional before use. Contains the amino acid phenylalanine. Not formulated for children. Do not exceed recommended use. Keep out of the reach of children.